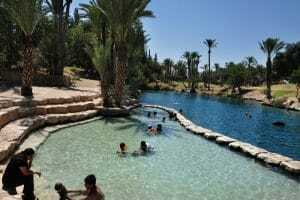 Gan Haslosha, located in the Bet Sean valley in the lower galilee is known as “the Garden of Eden”. 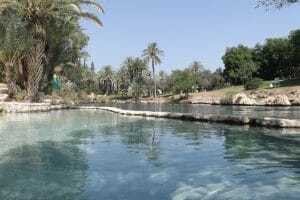 Cooling pools of natural springs remain at 28 degress all year round and are shaded by picturesque palms.The water in the Park gush out from a perennial stream, filling a system of enormous pools interconnected by beautiful waterfalls. The pools are surrounded by expansive shaded lawns and ornamental trees. Picnic areas are available at the guests’ convenience, as well as grilling stations, snack bars, drinking fountains, showers with hot water and lavatories – and everything is sparkling clean and well-maintained by a professional staff. Park entry will be allowed up to one hour before the Park’s closure.